The end of October is nearly here, but before we say goodbye to the month there are still some fantastic casino promotions for you to enjoy. Read on to learn all about them. Sky Vegas Casino is celebrating the launch of its new Egyptian Queen Luxor’s Treasure slot with a fantastic prize draw. The competition is giving you the chance to win free spins, cash and an adventure to Las Vegas! First of all, you need to opt in to the competition and this will immediately earn you an entry to the prize draw. Then, every £10 you stake on the eligible games will earn you an entry to the weekly prize draw to win cash and free spins, and an entry to the Las Vegas draw, which is taking place on Tuesday, 6th November. There are eight games you can play to earn entries, but you will earn double tickets if you play the casino’s exclusive Egyptian Queen slot. The other eligible games are Pharaoh’s wild, Eye of Horus, Cleopatra Plus, Queen of Riches, Golden Egypt and Book of Ra. Each week there is the chance to win cash prizes of between £5 and £1,000 as well as 12,000 free spins on Eye of Horus. There is a top prize of £1,000, two prizes of £500, four prizes of £250, five prizes of £100, ten prizes of £50, thirty prizes of £20 and fifty prizes of £5. Fifty players will win 20 free spin on Eye of Horus, 150 players will win 10 free spins and 2,000 players will win 5 free spins. Of course, the main event is the prize draw for the Las Vegas holiday. The top prize is an adventure for two to Las Vegas that is worth over £6,000! The winner will spend 7 nights at the Luxor hotel, famous for its pyramid shape, and will have the chance to experience the thrill of a desert adventure with dune buggies, a Grand Canyon helicopter tour, and a trip to the Valley of Fire and Lost City Museum. Best of all, it come with £1,000 spending money! This is a great chance to win a fantastic holiday and enjoy an exciting new slot. Head over to Sky Vegas Casino today and set the reels spinning. From now until 1st November, Grosvenor Casino is running a special £10k Spook-tacular Hallo-win promotion. It is giving you the chance to win a 2-night stay in a top London hotel, £500 bonus money, a £100 iTunes voucher and much more. You need to opt in to the promotion and simply deposit and bet £20 on games or deposit and bet £20 on sports. You will then receive an additional entry to the prize draw for every £20 bet on games or sports. Five people will win a 2-night stay at The Langham, three people will win Merlin Annual Passes, ten people will win £100 iTunes vouchers and there are also £6,000 bonus prizes up for grabs. Two people will win £500 bonus money, seven people will win £250, ten people will win £100, fifteen people will win £50, twenty people will win £25, thirty people will win £15, thirty-five people will win £10 and forty people will win £5. This is a brilliant opportunity to enjoy all your favourite games and sports betting at Grosvenor Casino and possibly win a fantastic extra prize. Don’t miss out. Head over to Grosvenor and opt in today. Between now and Sunday, Gala Casino is running a Quickspin Tournament and giving you the chance to win a share of £2,000 cash! All you have to do is play the eligible slots and every time you hit a scatter win or trigger a free spins round you will win 5 or 100 points respectively. These points will help you climb the leaderboard and those who finish in the top ten will win cash prizes, while there are also free spin prizes for runners-up. The eligible games are Eastern Emeralds, Dwarfs Gone Wild, and Pirates Charm slots. Best of all, it doesn’t matter how much you bet per spin, you will still collect points in the same way as everybody else. There is a top prize of £500, second prize is £250, third prize is £125, fourth prize is £75, fifth prize is £50, and those who finish sixth to tenth will win £30. There are 80 free spins for those who finish eleventh to thirtieth, 40 free spins for those who finish thirty-first to fiftieth, and 20 free spins for those who finish fifty-first to one-hundredth. This is a brilliant chance to explore some exciting slots and give yourself the chance of winning a huge cash prize. Head over to Gala Casino today and start collecting your points! Win a Share of 100,000 Free Spins at BGO Casino! Each week BGO Casino gives away 50,000 free spins but in honour of Halloween they have upped this to a massive 100,000! The free spins are given away in random prizes and it could not be simpler to give yourself a chance of winning. Just log in and play the slot Pumpkin Bonanza between 7pm and 10pm BST every day until the end of the month. You can win up to 20 free spins each day to use on the Pumpkin Bonanza slot and there is no wagering requirement on your winnings! While you are at BGO Casino there are plenty more promotions to enjoy and bonuses to claim. For instance, if you enjoy Bingo then you could win a pair of tickets to see the show Wicked at the Apollo Victoria Theatre in London. Best of all, the prize also includes a hotel stay, travel expenses and spending money. To be in with a chance of winning all you have to do is play in the Fairy Delight or Golden Galaxy bingo rooms. Every £10 cash you spend on tickets will earn you an entry to the Defying Gravity bingo game that is taking place in the Sweet Treat room on Wednesday, 31st October. You can also earn tickets by betting £25 cash on the mini slots Winnings of Oz, White Wizard JP, White Wizard and Full Moon Fortunes. If you then win the Full House in the special bingo game you will win the top prize. There is also £100 for the 1 Line winner and £200 for the 2 Line winner. You can earn up to 120 tickets for the Wicked-Defying Gravity game, so there are plenty of opportunities to win. Make sure that you don’t miss out on either of these opportunities, head over to BGO Casino and start playing today. 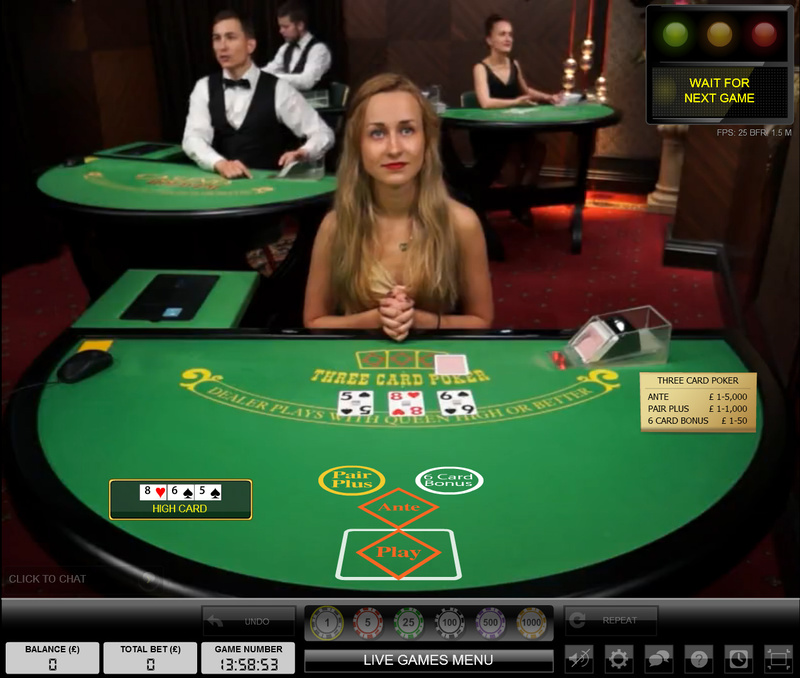 If you enjoy live casino games then visit 888 Casino where there is a Halloween treat for you. They are giving you the chance to earn up to £13,000 in bonus money! All you have to do is deposit at the casino using the code ‘SCARY’. Wager your deposit x3 and you will get a 25% Halloween Bonus of up to £500 straightaway. You can then repeat this up to 26 times until November 2nd, 2018. You can use your bonus money on all of 888 Casino’s fantastic live dealer games which include Roulette, Blackjack, Baccarat, Poker, Dream Catcher and more. Of course, your bonus money can lead to even more winnings, so you could come out of this with huge amounts of cash. There are plenty more bonuses on offer at 888 Casino so don’t delay, visit today and start claiming your bonus cash. Sky Casino is giving you the chance to win £1,000 cash every day from now until December 2nd and all you have to do is opt in and start playing your favourite games. 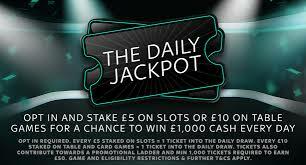 Every £5 you bet on any slot or £10 on any table game will earn you a ticket to the daily prize draw. Don’t worry if you don’t win the Daily Jackpot, as you will still have the chance to win hundreds of cash prizes in their massive £500,000 giveaway. 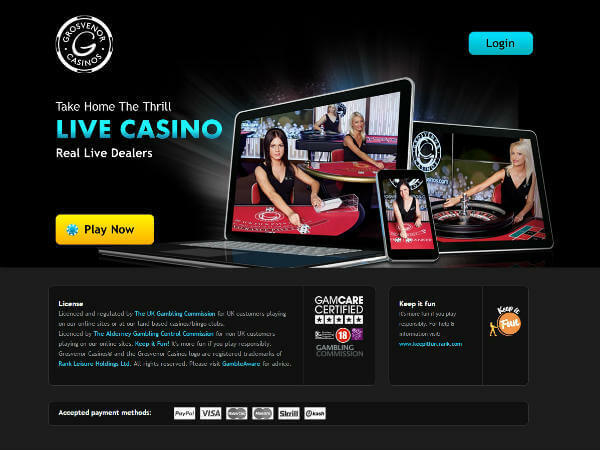 Furthermore, as you earn tickets you will also be part of The Daily Jackpot Bonus Builder. This gives you extra bonuses based upon how many tickets you earn, so for every 1,000 tickets you will receive £50 in cash immediately. Each day one player will win £1,000, there is one prize of £500, one prize of £100, ten prizes of £50, twenty-six prizes of £25, one-hundred prizes of £10, two-hundred-and-fifty prizes of £5, and one-thousand-five-hundred prizes of £2. 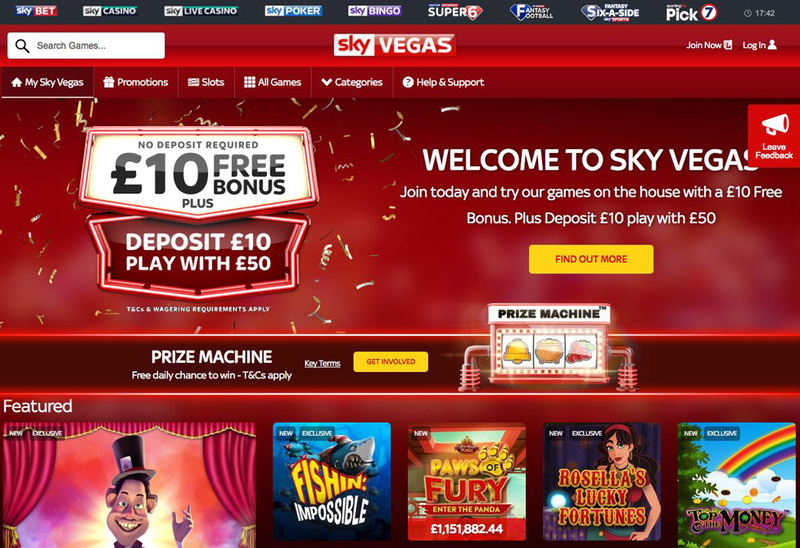 This is a great chance to win cash prizes every single day, so head over to Sky Casino and start collecting your tickets.